Don't See Your Vehicle Details? DK2 Rampage II - 82" X 19"
DK2 Storm II - 84" X 22"
DK2 Summit II - 88" X 26"
When shopping for a snow plow, it's important that your investment matches the kind of plowing you'll be doing. 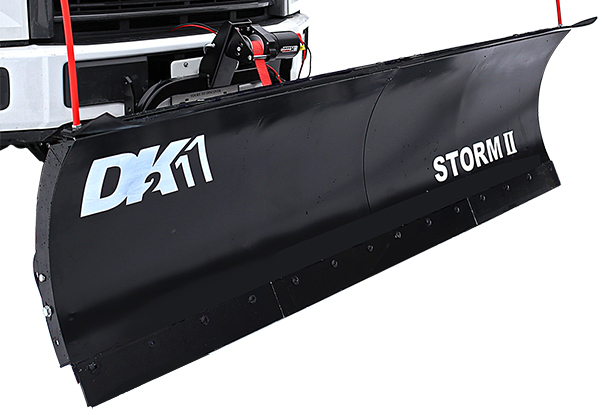 The DK2 Snow Plow comes in three models, each suited for different kinds of use. That said, each DK2 Plow makes for a quality, cost-effective solution if you're looking for a better way to move snow. The DK2 Rampage II, the smaller model, is best used to clear paths or drives around your home or farm. By comparison, the DK2 Storm II is suited for larger jobs - like clearing neighborhoods. The largest model, the DK2 Summit II, is made for light commercial work like clearing out parking lots and snow-filled alleys. 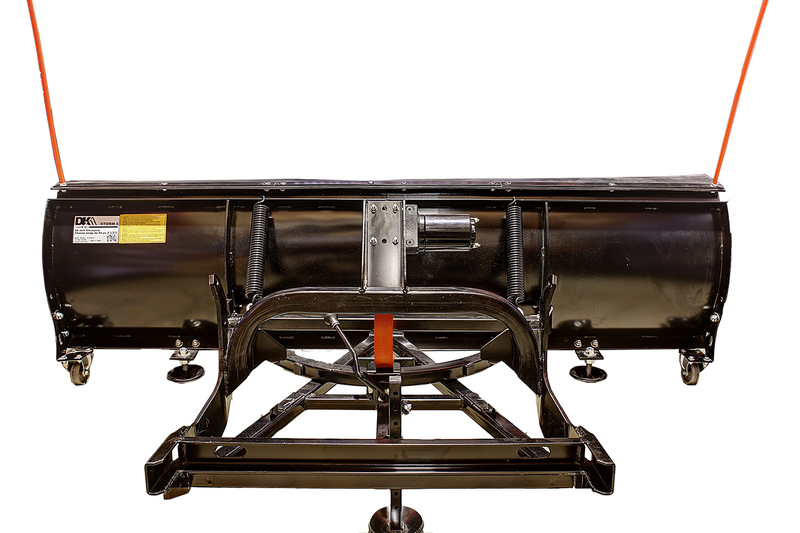 Each plow comes with a Custom Mounting kit, Electric Wireless Winch, Wiring Harness, Skid Shoes, Side Markers, Deflector, Scraper and Caster Kit, as well as a wireless remote. 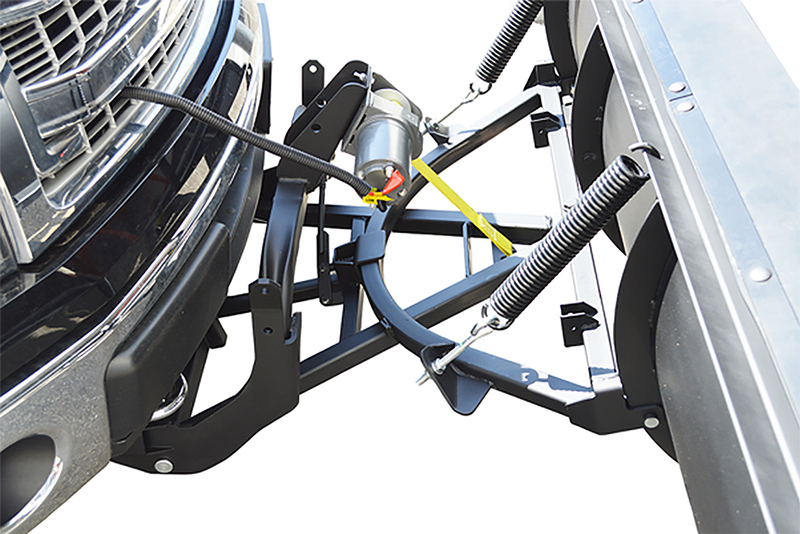 All DK2 plows are made with the same all-steel construction, complete with integrated drop down caster wheels and easy-to-use mounting kit. The blade's horizontal positioning on each model can be manually adjusted to three angles: 45 degrees to the left/right and straight. 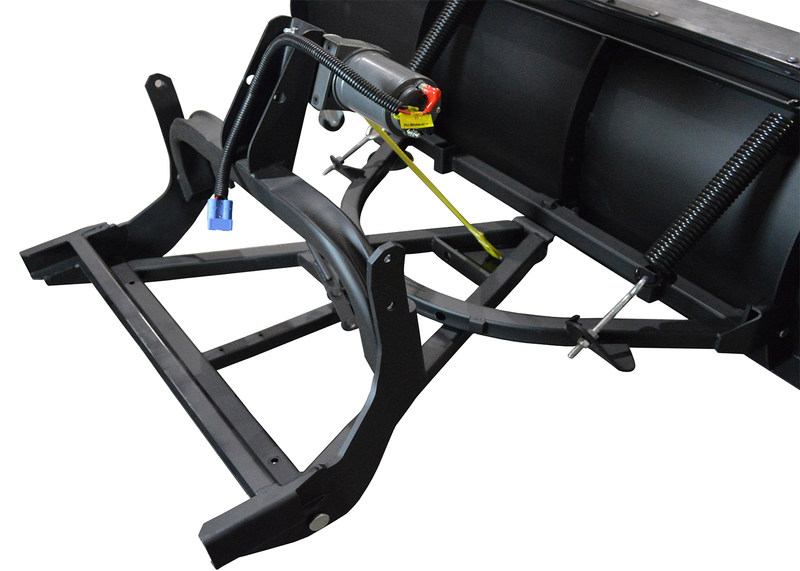 Each plow includes vehicle specific mounting brackets, giving you a commercial-grade two point connect - without commercial-grade prices. Backed by a 1-year Warranty. What's the difference between each of DK2 styles? The DK2 Rampage II measures 82" X 19" and weighs 206 lbs. The Rampage is ideal for use around your home. 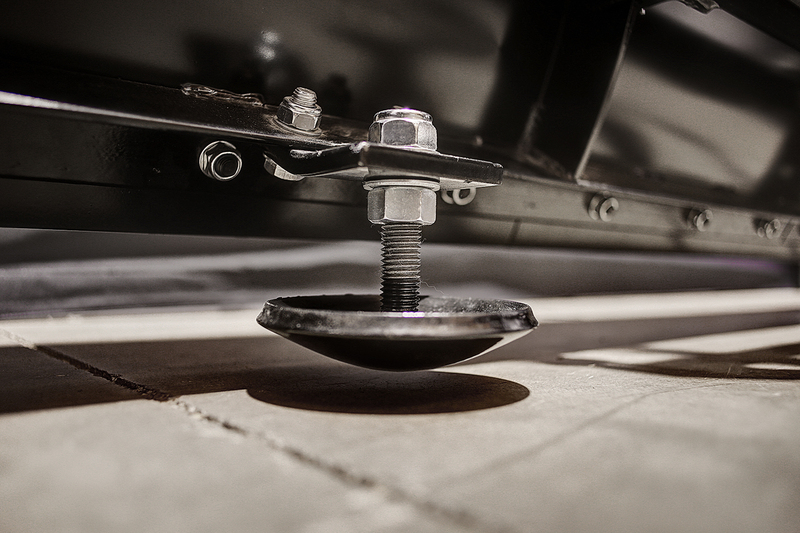 The DK2 Storm II measures 84" X 22" and weighs 237 lbs. The Storm is great for plowing lots around a small business or for clearing some snow away in your neighborhood. The DK2 Summit II measures 88" X 26", weighs 245 lbs. The Summit is made for bigger jobs like clearing alleys and parking lots. 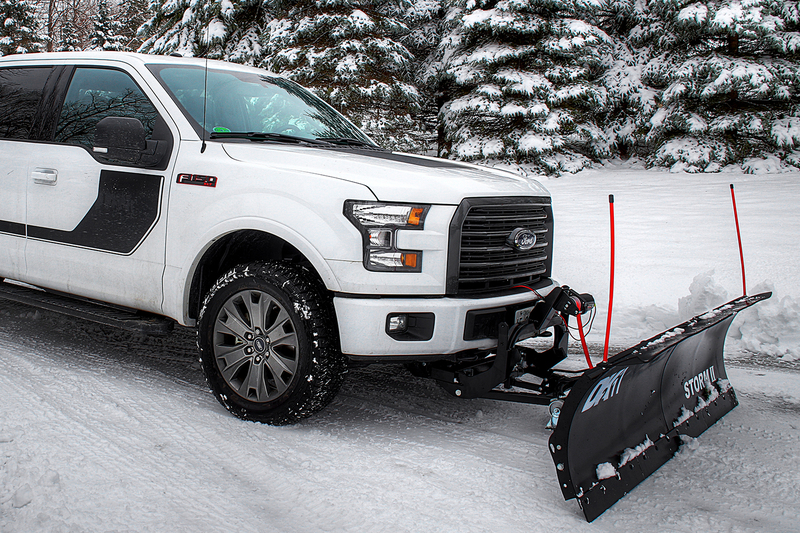 All three DK2 Snow Plow models feature a 1-Year Warranty. William C from Hagerstown, MD, who drives a Isuzu Trooper. Great price and fantastic customer service, everything was as stated thank you. Joseph K from Elgin, OR, who drives a Dodge Ram 2500. Putting the plow together was pretty easy. The only problem I ran into was the mounts to my frame, which was solved easily when I loosened my bumper brackets to get everything to shift enough to get the mount bolts to line up. The plow works great for the snow, don't expect to push compacted snow and ice piles. The wireless remote works great too, but the wiring instructions were vague, easy enough to figure out though. Overall very satisfied with product and company. Timothy D from West Milford, NJ, who drives a Nissan Pathfinder. SnowPlowsDirect.com was an absolute pleasure to deal with. Their shipping was very fast, customer service responded promptly and resolved my issue very quickly. Unfortunately, I was shipped the wrong vehicle mount at first, which was frustrating, but SnowPlowsDirect.com sent me the right one very quickly. As for the plow, it took me about 2 hours to build it and about 4 more hours to take off the bumper and mount to the car. This was the first time I ever did something like this. So if I can do it... anyone can. Albert F from Salem, MA, who drives a Chevrolet S10. Installation book needs more detailed instructions! Steve from Madison, MN, who drives a Chevrolet Suburban. Good quality on a good price. Real easy on and off attachment. Just watch the back support pipe when you raise it the first time. Mine hit by 98 Chevy suburban bumper when raising it the first time and bent. Not a big deal I should have shortened it up. Martin S C from Elizabethtown, IL, who drives a Ford F-250. I put more than 2 hours for the install when in fact I never did get it installed at all. I never got past the brackets that came with the plow. Cheesy instructions made it virtually impossible to figure out. The brackets wound up being wrong anyway. They then sent a different set of brackets that were wrong as well. After talking to their support people for about two weeks they just ignored my calls and texts. The best part about the experience is the returns department. Kind, courteous, and helpful. Of course the refund will be in the mail. Thomas L from South Milwaukee, WI, who drives a Suzuki Sidekick. Simple assembly and install. Product arrived well ahead of schedule, trucking company delivered to my house, put the pallet in the garage for me. Everything about this purchase and this product has been very positive. Eric C from Huntsville, AR, who drives a Toyota Tundra. Michael M from Providence, RI, who drives a Toyota Tacoma. If you got a half-ton pickup with factory front this is a safe bet. It's been mostly lighter snow but it works really well so far. I was also pleasantly surprised to find the free shipping to be as fast as it was. didn't blow me away but got the job done, for sure. Jeffrey F from Terre Haute, IN, who drives a Dodge Ram 1500. I wasn't clear on the different models (Rampage? Storm? what?) but customer service really helped me out. Only reason it doesn't get 5 is because the plow was lighter than I was expecting. still good, though. Snow Plows Direct is an Authorized Reseller of all the products we sell. Rest assured when you shop with us, all products are backed by their full manufacturer's warranty. If you find another website advertising a lower price on one of our products, we'll beat that price by $1. And if you buy a product from us and see a lower price elsewhere within 12 months, we'll refund you the difference. It's that simple! If you've purchased a product from us, and then you find a lower price elsewhere online within one full year of placing your order, contact us by replying to your order confirmation email. We'll send you a price match guarantee claim form, then review the competitor's price. If your claim is eligible, we'll refund you the difference plus one dollar. "Advertised prices" include the product's listed selling price plus sales tax, shipping, and other charges. The competitor's product and shipping method must to be 100% identical to ours, and the product must be in brand new condition in order to be eligible. Only online stores are currently eligible for Price Match comparisons. The product needs to be in-stock and available for purchase from an Authorized Dealer. Price Match Guarantee does not apply to the following: special order items, clearance items, overstocks, rebates, employee discounts, items sold on auction sites, group buys, erroneously displayed prices, or verbal price quotes. Factory seconds or blemished/refurbished items are not considered "new" and therefore are not eligible. Price Match discounts cannot be combined with any other coupons, sales, or other promotional offers.